Learning how to start a blog in this day and age is very simple and doesn’t require any technical or web development experience (like it used to years ago). To get started with blogging 101, you need to choose a platform for your blog. The graph below illustrates the usage of blogging platforms. 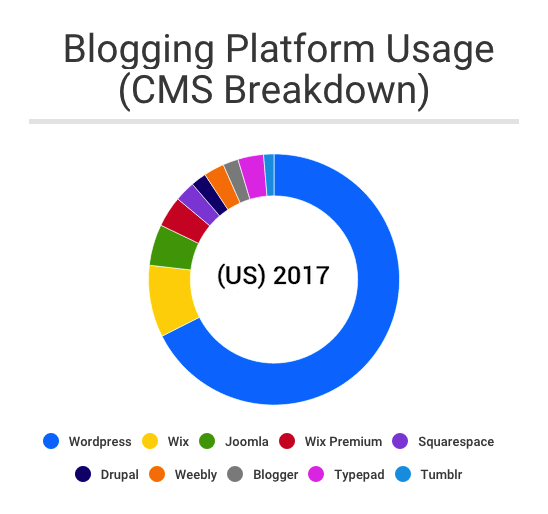 As you can see, more than half of all bloggers choose to go with WordPress, something I highly recommend you doing as well. Without question, it’s the most simple platform I’ve ever had the pleasure of working with, and according to ManageWP, the data suggests I’m not alone. It’s also flexible and easily customizable that almost everyone from small business owners to bloggers, all the way to professionals and freelancers, just can’t stop raving about WordPress. It’s Free – That’s right, it’s not a gimmick. The WordPress platform is actually 100% free. It’s Super Beginner-Friendly – WordPress has features called plugins that are designed for non-technical people, and they are free to use on your blog. With plugins, you can add contact forms, comment boxes, image galleries, videos and almost anything you can imagine. Huge Community with Help & Support – Since everyone else is using WordPress as their blogging site, it’s quick and easy to find the help you need. WordPress also offers an incredible library of free resources on their site and video tutorials on Youtube. 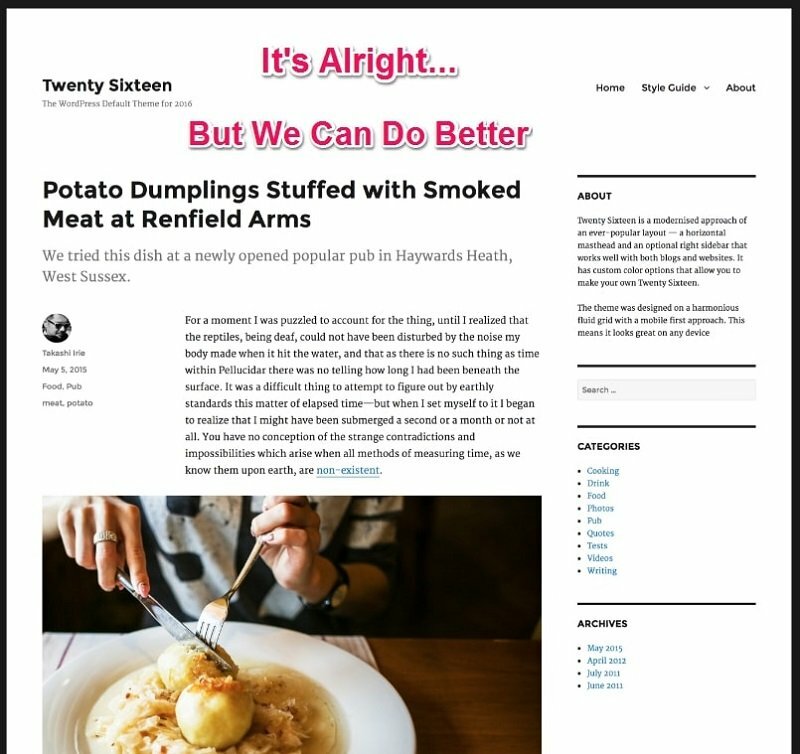 Mobile Responsive – Don’t you hate those blogs that you visit on your phone where you have to pinch the screen to zoom in? WordPress will automatically make your blog ‘responsive’, which means it’ll work on all cell phones and tablets people use to visit your blog. Big Brands Love It – Did you know that even the biggest brands in the world use WordPress as their platform? Sony, MTV, CNN, Ebay, Best Buy and even ESPN all prefer WordPress over the rest. You can get started with your very own WordPress blog, a hosting provider and a domain name for $2 – $5 a month. Don’t worry – I’m going to show you how to get a domain name for free and your hosting at a discounted rate. How do I get my domain name and hosting? 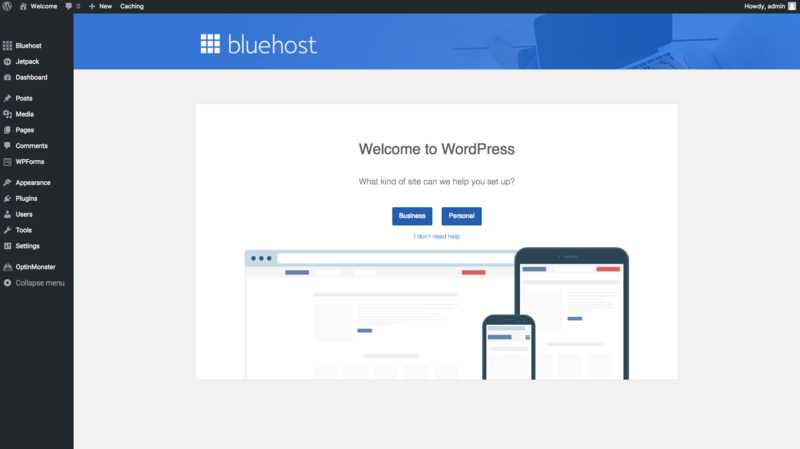 I’ve always put my sole trust in www.Bluehost.com as my main web hosting and domain provider for my personal and client web development projects. 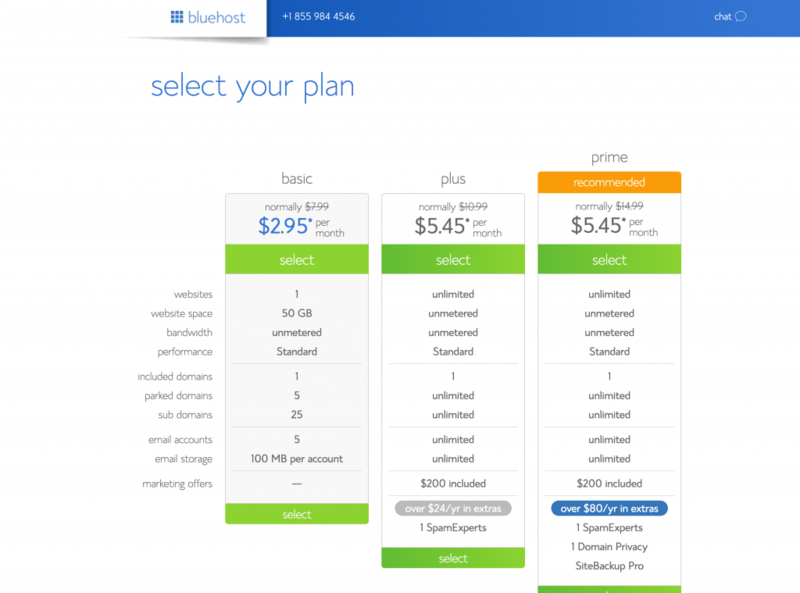 I’ve tried every hosting service out there, and no one is as reliable as Bluehost. Their web hosting service costs less than a gallon of milk and they will give you a domain name for FREE (saving you $10 per year). 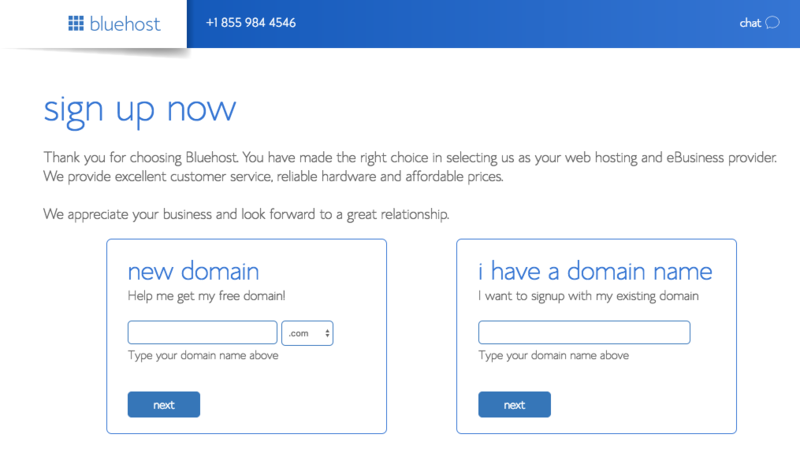 When you get your free blog name with Bluehost, you’ll also receive a personal email account: [email protected] – which looks so much more professional than a generic Gmail or Hotmail address. What blogging topic are you most passionate about? Check out other similar blogs to see what people are choosing for domain names. If you’re creating a blog for yourself, then your domain name should be your own name. My first blog was called MattBanner.com. I chose OnBlastBlog.com as the domain name for this blog because I wanted to help people blast off with making a website and growing it to new heights. Domain names typically end with .com, .net or .org. Recently domain extensions (the end of the domain, like .com) have opened up to include more words such as .us and .sports. When choosing a domain name, what would I advise? Don’t waste time with anything but .com, .org or .net. Those other crazy domain name extensions aren’t widely known so it will be harder for customers and readers to find you. So, how do you set up a blog? How do you edit your blog? How do I post a blog on WordPress? let’s dive in. Follow along with the images I have provided for you below and you’ll be set up in no time. 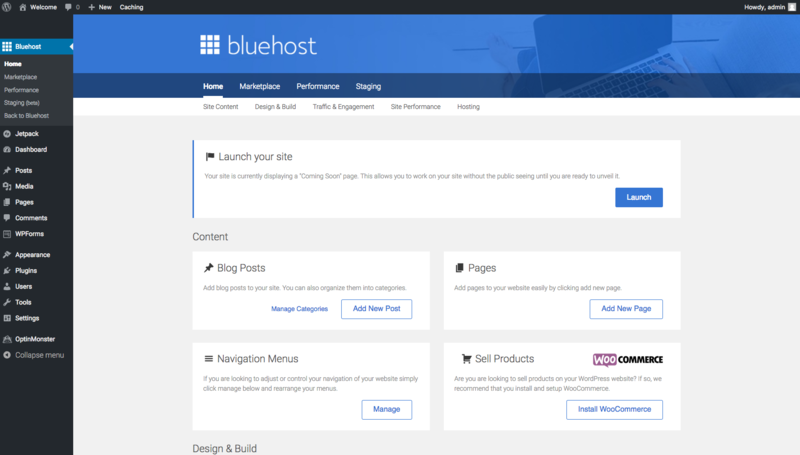 First, click this link www.Bluehost.com to open in a new tab. 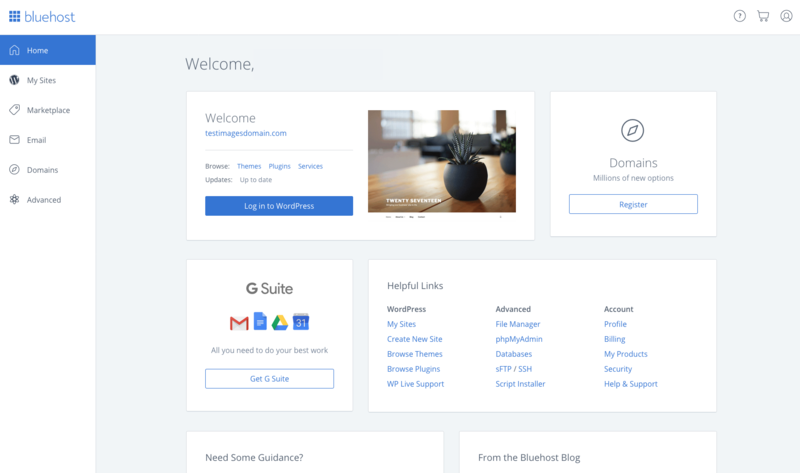 That’s the Bluehost home page where you’ll be able to see some of their offerings, such as additional 24/7 support and their money-back guarantee. Click on that huge green button that says “get started now”. 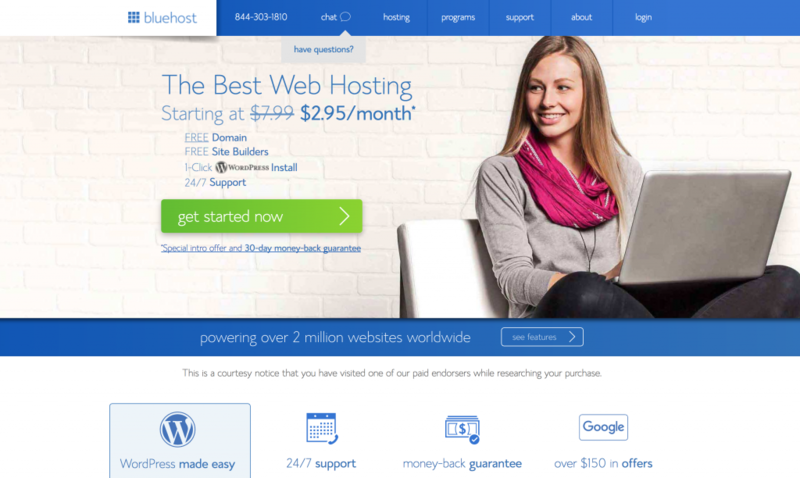 Now you’ll see a page (like below) where you’ll be able to choose your hosting plan. Select the basic package for the cheapest offer. After choosing your hosting package, you’ll be on a page where you can check to see if the domain name for your blog is available. Use the box on the left to do so. If it’s available, click “next”. Already have a domain name from GoDaddy? You can use the box on the right to transfer your domain name. If the domain name you chose is available, you’ll see a “congratulations” message on the next page. Now you can select your hosting plan. A 3-year plan might be too much for a beginner, but keep in mind that you can cancel with Bluehost at any time and get a full refund for the remaining months in your plan. The 3-year package is the cheapest per month, which is what I recommend for everyone to save some dollars. After your plan has been selected, and you’ve selected any extra features, simply put in your billing information. Your purchase for your new blog is now complete. Click the “create your password“ button to select a password that will be used to login to your Bluehost control panel. 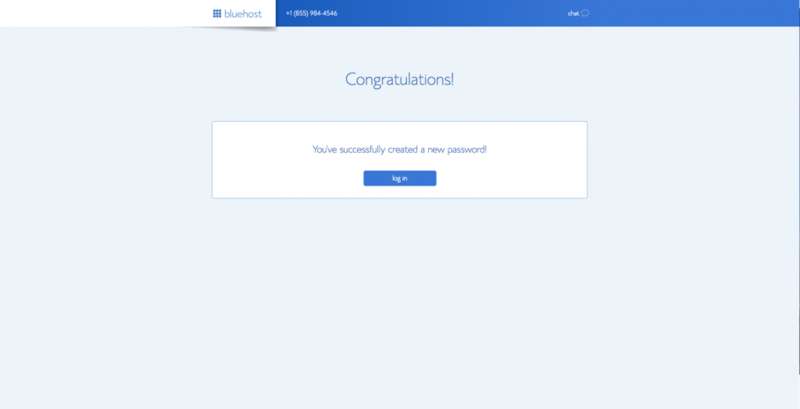 Click the “Login” Button and use your new password to login to Bluehost. 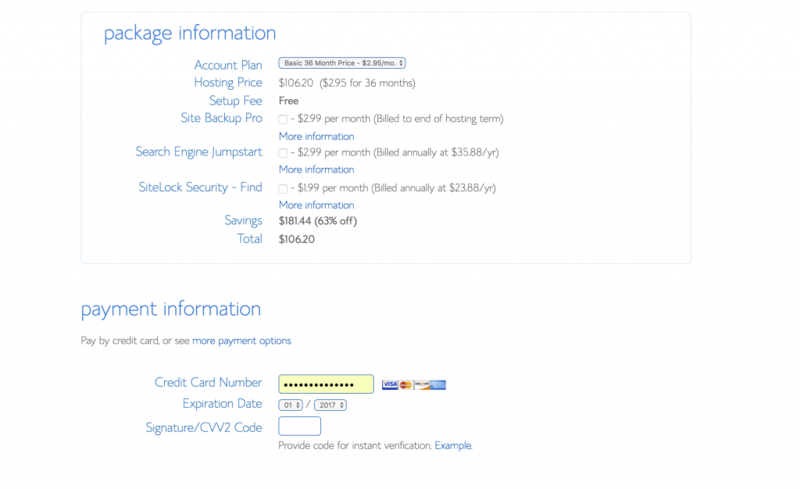 Before you begin, make sure you have logged into your account at www.Bluehost.com. 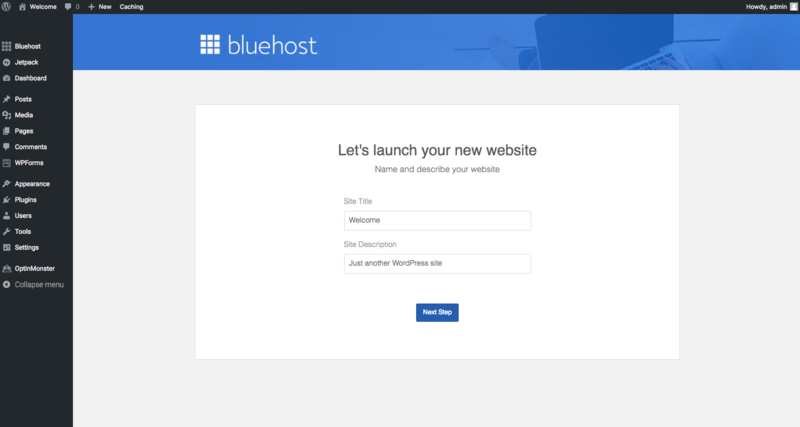 Bluehost recently introduced the Bluerock Experience to make it easier to set up WordPress and start on your blog. Check out the updated instructions below. I love browsing through themes because it really helps you visualize your blog. But, you can skip this step or change the theme later if need be. 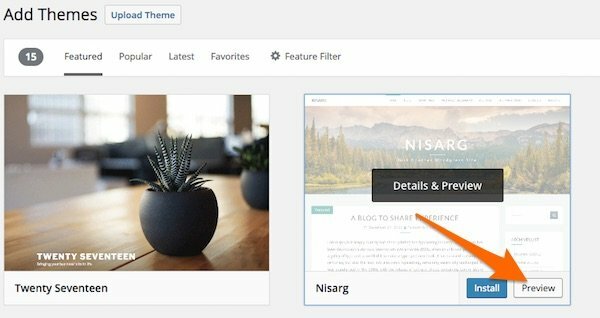 These themes are all free themes from WordPress.org, so it doesn’t cost a thing to get a really nice-looking site. Add Domain names, Mojo Marketplace (place to purchase premium plugins/themes), Set up webmail, FTP and manage your Bluehost hosting account here. That’s it! How long did that take? About 9 minutes for me! Haven’t started? Click the yellow button below to access my instant discount. Do you prefer the instructions for setting up your blog written out over visual images? 2. Choose your hosting plan. Basic vs Plus vs Prime vs Pro. I recommend purchasing the Basic plan because you can always upgrade your plan as the site grows. A fair warning to anyone reading this portion of the article: this is the advanced course. When you’re certain that all of this checks out, head to the WordPress download link and download the files. You’ll need to first unzip and extract the files, moving them all to the new file. Fill in the database, by inputting the information for each field. If you don’t know some of them or any of them, contact the host’s customer service to receive them. Once you’ve made the edits, click “save” and close the file. The next step is to make the connection between you and your host’s FTP account. You’re going to need a client program to do this, like FileZilla for example. You’ll need the hosting company’s login information here again here so you can upload and deliver files directly to the host. 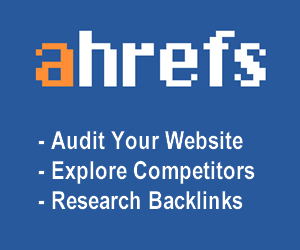 Uploading them directly into the primary root directory will allow your blog to be accessed through this URL: www.yourdomainname.com. If you are uploading the files to an individual folder, then the URL will be www.yourdomainname.com/myblog. Double check that there aren’t any other index files in the there like .html, .htm files. The “index.php” file is the only directory you can use. Now that your blog is set up, let’s talk about getting it off the ground. The first thing to understand is that while you can customize part of the blog URL, you won’t have full control over the name of the domain because it’s being hosted by someone other than you. What if this blog was called OnBlastBlog.Blogger.com? Not as cool, is it? Starting a blog for free might sound like a good idea because it’s a way to get started without any risk. Your blog “IDontKnowHowToStartABlog.Blogger.com” isn’t on a platform that’s built to generate revenue. When you use a free blogging platform like blogger.com or tumblr.com, your URL is going to include their cut because they are the ones hosting your blog. This may seem like a minor inconvenience, but keep in mind that people should be able to recall your blog’s URL off the top of their head, otherwise they’re going to forget the blog. You can purchase a domain name through the company to fix this issue, but you’re still not in total control of the blog as a whole, so it only plugs the leak. Opting for a free blog through one of the blog sites mentioned above, or others out there, doesn’t give you a whole lot of options when it comes to customization. When using a free blog hosting blog, you have to consider the fact that while the blog has your name on it, you don’t own it. The blog that is running the blog for you owns it, and if they decide they don’t like it, all it takes is the flip of a switch to send your blog to the big blog in the sky – for instance, starting a Facebook blog. If the owners of the blog (blogger, Tumblr) decide that your content doesn’t jive with the feel they’re going for, they can delete all of your posts and make your blog disappear. Granted, you didn’t pay for your free blog, but did you know that many people make money on their blogs? If you’re using a free hosting site, you won’t be able to make much money, if any at all. Some sites will let you set up a paid advertising plan, but they’re going to take a cut of everything you make. We’re talking 50% or higher. Again, if you are just starting out and you’re running on a tight budget, I would recommend using WordPress as your main blogging platform. You can run to Tumblr, or blogger, but when you decide to purchase and host a domain of your own and URL, you will most likely continue using WordPress because of its intuitive design and ease of use. After 72 million downloads and counting, WordPress has become the gold standard for blogging platforms, regardless of it being used as a free or self-hosted platform. Now that we’ve covered the free options, let’s discuss self-hosting your blog. By now you’ve learned how to start a blog, but we’re not done until you’re 100% confident with how to proceed next. Before we can started with our first blog post, let’s get familiar with our shiny new WordPress blog and customize it to perfection. Settings – Here you’ll be able to edit the blog’s title, its tagline, and the email address associated with it. These options can seem overwhelming, but that’s a word that I never want you to associate with the WordPress blogging platform. I’ll be showing you how to use and familiarize yourself with all of the amazing features WordPress has to offer. So, let’s dive a little deeper and make sure you have everything you need. How can I find a theme that works for my blog? 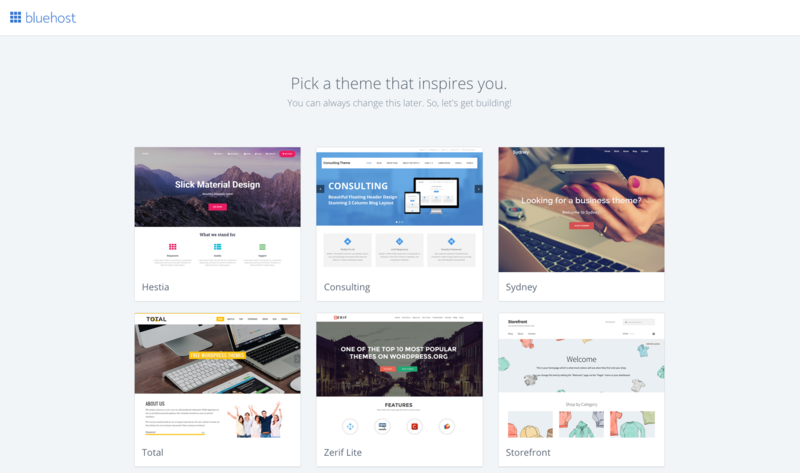 A Theme is a layout and design that tells WordPress exactly how your blog should look and function. There are thousands of these. Some of them are free, some of them come with a one-time fee or a membership to the service. It’s time to customize your WordPress blog. Head to your web address and add /wp-admin to the end of the URL to reach your login page (//www.yourblog.com/wp-admin/). Log in with your newly created username and password. Click the paintbrush symbol which is labeled Appearance. This will take you to the page where you can browse and choose from the numerous themes WordPress has to offer. The search function here is very robust. You’ll have plenty of options for how you want to narrow the results. On the WordPress sidebar, hover over the ‘appearance’ tab and select ‘themes’ from the drop down menu. Once you’re there, you will see several themes that are already installed. If you’re looking to try out a new one, click the ‘add new’ button at the top to start your search for a new theme. Simply click and check off all the specifications you’re looking for and hit ‘apply filters’. WordPress will populate all of the free themes that meet your criteria. You can also preview any theme and get an idea of how it will look before you actually commit to it. Click the ‘preview’ button that’s within each theme option and you’ll be taken to a new page that will display the selected theme. 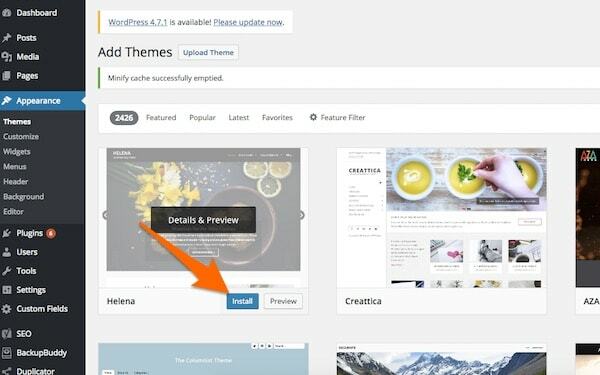 Once you’ve found that perfect WordPress theme, click ‘install’. Then all you need to do is confirm and activate the installed theme. What Do I Need in My WordPress Theme? Look for something that is stark and simplistic. Anything too complicated will overload the viewer’s senses and confuse them when they arrive. It absolutely must be a mobile responsive design. A vast majority of your visitors will be using mobile devices. They should have an equally user-friendly experience as people who visit on desktops. If you’re not sure, check the theme’s description and run the demo page through Google’s Mobile-Friendly Test. Make sure the theme clearly states that it’s compatible with all of the major web browsers: Chrome, Firefox, Internet Explorer, Safari, and so on. The theme should support just about any and every plugin you want to install. If there’s any doubt on this front, ask the developer or research the specific plugin you’re concerned about to be sure. Look for multilingual support in both different versions of your blog and for different multilingual plugins. If you’re a beginner, consider looking for themes with website or blog builders included. Finally, look for themes with plenty of reviews and options for ongoing support. The Final step is to install the theme you’ve chosen by selecting it and clicking the Install Now button. Change your theme as often as you’d like in these early stages. It’s best to find the perfect option for your site before you dive into everything. If you decide down the road that you want to try something different, remember this: changing your theme does not delete any posts, pages, or content. 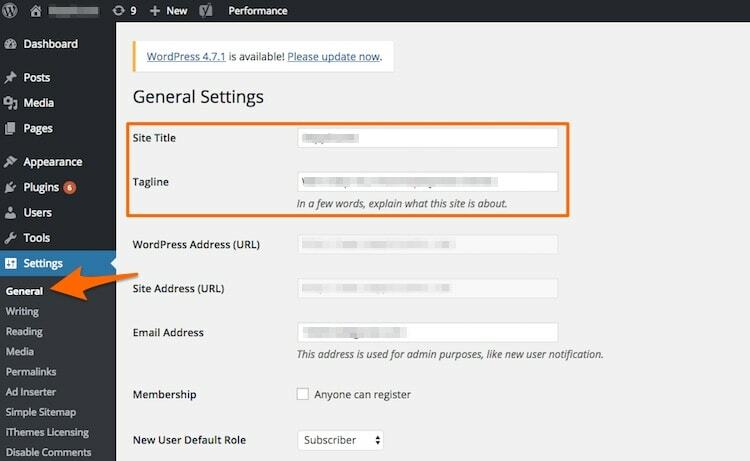 Adding new content in WordPress is simple and easy. Thankfully, if you’ve ever used a program like Microsoft Word in the past, you’ll be right at home here. Click on Pages orPosts and then Add New. 1. Title (H1) – This box at the top of the page is where you’ll place the main title of the page or post. 2. Add Media – This button takes you to the tool where you can upload, customize, and insert images into your content. 3. Toolbar – Here we have the various formatting options available to you. Everything from the option to bold text, underlining, italics, and even your header styles can be found here. 4. Visual/Text Tabs – This tab switches between the visual “front end” of the content and the text “backend.” The only time you’ll need to look at the text tab is when you need to add custom codes or short code. 5. Publish Box – This is where you’ll find the options you need to save the draft, publish the post, or update it with new content. 6. Content – This is where the magic happens. All of your content, including images and links, go here. When you’ve created pages such as the “About Us” or “Contact Us” options, you can add them to your navigation bar. To do this, click Appearance on the left side of your dashboard, followed by Menus. Find the page you want to add in the list on the left. You can also add blog ‘posts’ to the menu bar as well. Just underneath the ‘pages’ section, you’ll find an expanding tab called ‘posts’ where all of your blog posts will be organized. 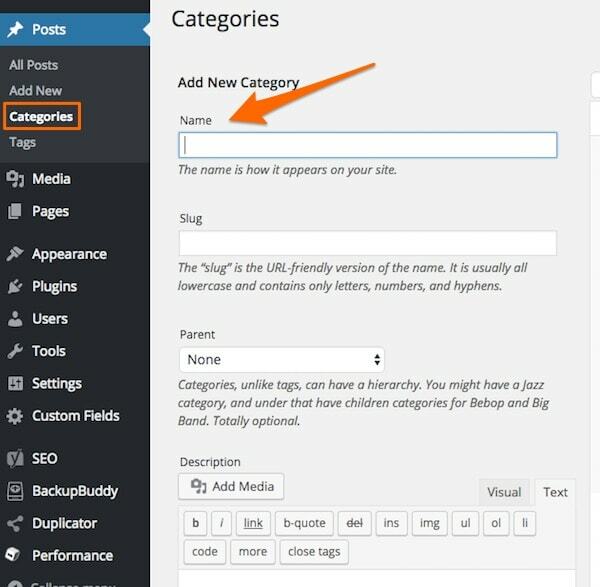 To keep your blog organized, you may wish to organize your posts into categories. If you have a static web page, a separate category can be formed to house your blog posts. Option #1 – Create your new category by going to Posts -> Categories. Option #2 – When you’re writing a post, you can create a new category on the right side of the page and your post to it. Add the name of the category and ensure the ‘slug’ section is filled out in lowercase letters the URL you would want for the category. For example, this guide is categorized under the ‘blogging basics’ category and would have a URL like this /blogging-basics/. You can also add a description to the category as well – depending upon your theme, it might be displayed on the category page. Remember to add your new categories to the navigation bar and you’ll be all set! This section’s purpose is to perform the “housecleaning” that any new blog owner should do after they’ve set up and created their blog. These things will add the finishing touches to your blog’s foundation. At this point, you’ve already registered a domain, so you have some idea of what your blog is going to be called. For branding purposes, you can make the name identical or similar to your domain. Ask yourself: “What’s my blog’s purpose?” What are you trying to accomplish? Use descriptive language or phrases that describe you. Misspell something on purpose or create a new term that describes what you do. Balance the title between professional and personal, depending on the nature of your blog. There are a few critical points to consider when you’re setting up your blog to ensure you’re on the right track for SEO success. Having a clear communication channel with search engines will leave a lasting impression you’ll need to be seen more favorably by Google and the like. Establishing an impressive first impression is key to making your blog marketable in the years to come. 1. Don’t use long and unnecessary characters in your URL structure. Not only do we as people like seeing URLs like this //example.com/2011/05/category/how-do-i-start-a-blog/ but search engines don’t prefer it either. Instead, use a cleaner URL or permalink structure like this one – //example.com/start-blog/. 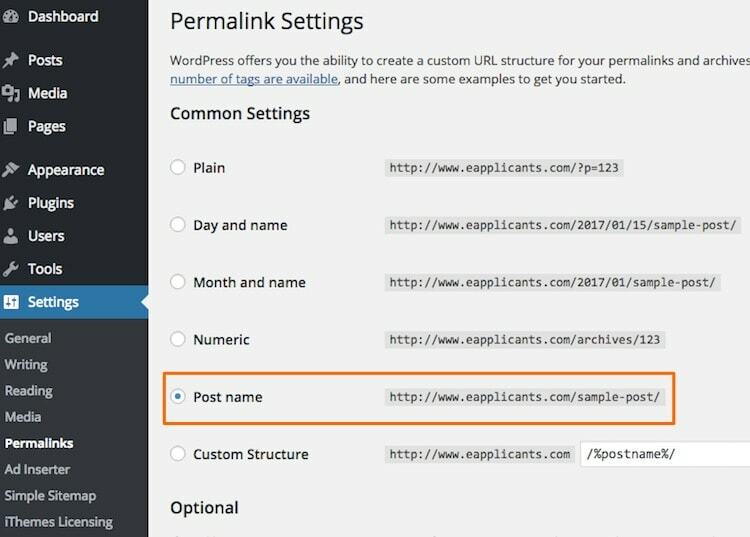 Here is how to alter that setting: Settings > Permalinks and then select ‘post name’ and save your new settings. 2. No one wants spammy comments on their blog. There are millions of people out there that leave spammy and unwanted comments on your blog to advertise their blog or their products and services. You can easily filter these unwanted comments out by configuring a simple setting to moderate those comments. Go to Settings -> Discussion and make sure both of these options are checked on. When you’re working on creating a new page or post, look for the “screen options” button in the top right corner. Click to open it. Un-tick this box to disable comments on that page only. 3. Don’t block search engines from crawling and reading your blog. Go to Settings -> Reading and scroll to the bottom. Make sure this setting is ‘unticked’ to allow Google and other search engines to freely read your blog. If this is check marked for any reason you will not appear in Google search results. Choose a page you’ve created to become a static page for your site. “Front Page” is the homepage page, while “Posts Page” is the front page of your blog. If you don’t choose a static page, WordPress will use your latest posts and show them on your homepage. So, it may be important to create a static page, based on the goals of your blog. When you’re choosing a WordPress theme to get a new blog online, they will almost always have a sidebar on the right side (some cases it’s on the left). This feature is great for user-friendliness, but often the default sidebar includes things you don’t need. Go to Appearance -> Widgets in the dashboard. Use the drag-and-drop feature to add and remove different boxes from the sidebar. Don’t worry about the HTML box, this is for using custom code. What Should I Put in My Sidebar? When you’re making a website, your sidebar should be organized from highest to lowest priority. The top element depends on what you’re blog is trying to accomplish. For some, this is a widget with your About Me information. For other blogs, a short opt-in form is the top element of their sidebar so they can collection email subscribers. Other elements beyond these include your latest posts, social media buttons, and additional navigation. You should stay away from posting awards, a ton of social fees, and archived posts. There are better places for these. What’s a plugin? Trust me, it’s easier to understand and use than you might think. Plugins are the name given to programs that add additional functions to the base version of WordPress. Think of them like a blogger apps. They give you the option to add features quickly and easily. Without plugins, you would have to set up a blog for yourself, along with all of the little features you want it to have. These offer a much easier way to add functionality. Click install and activate to finish the process. You can use the search bar on the right-hand side. Once you’ve found the plugin you’d like to use on your blog, select the ‘install now’ button and then simply ‘activate’ it on the next page. Keep in mind that it’s critical not to install just any plugins. Having too many plugins or installing a plugin from an unknown or untrusted source can be detrimental to your WordPress blog. Make sure it’s something you need. Installing unnecessary plugins can slow down your blog. Look to see if it has a large number of reviews. Make sure it was updated recently, and consistently since it was created. Check to see that the plugin is compatible with your version WordPress. If you have any questions, reach out ot the developer before you purchase or download the plugin. As you get started with plugins, you’ll probably find a lot of them that you want to download. Here are some handy tips to keep in mind before you download anything. 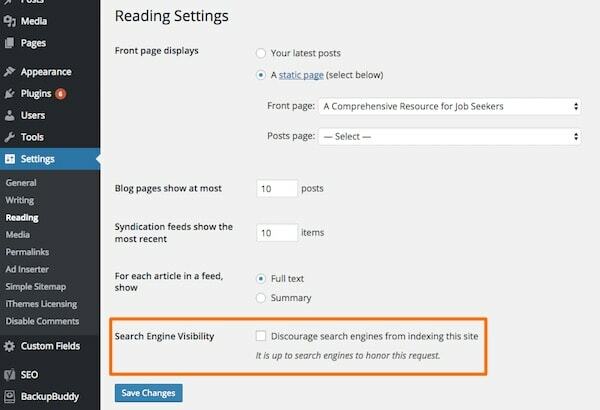 This plugin singlehandedly demystifies SEO for new WordPress bloggers. Once you’ve installed it, you’ll find the widget beneath your posts. It will give you the opportunity to customize the URL, Title Tag, and meta description of the post or page right then and there. Inserting the main keyword will provide a detailed analysis of how meaningfully used a given keyword is across all the on-page elements. These are just the basic features as well, so it’s easy to see why this plugin should be first on your list. This will allow you to understand how your blog is performing and eventually use that data to improve your marketing and your usability. It’s common to have a contact form on your About Me page, and this plugin allows you to set one up with ease. 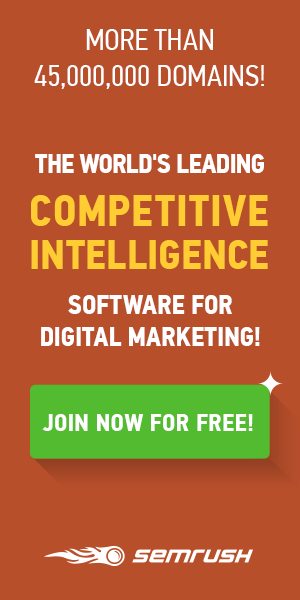 Using this, you can give your visitors the option to send you a message without having to open their email software or leave your blog to do it. WordPress security is a hot topic right now, and it always will be. Hackers are constantly looking for new ways to get into blogs. By downloading a security plugin, you can protect your site from harmful visitors and software. The last plugin I would recommend to have from the very beginning is W3 Total Cache. This incredible plugin immediately gives you a speed boost. While it has a lot of advanced features, simply installing and activating it will make a difference in an of itself. The best thing you can do from here? Explore and check out the options. Here’s a useful list of the top 100 plugins to use. When you’re putting together your post, check out the various fonts, tools, and the useful “Add Media” button to put pictures in your post and embed videos. Again, these plugins you see above are just the very basics you’ll want to have installed on your brand new blog. Now that you know how to create a blog, I want to share with you some classic techniques & practical strategies you can use immediately to build and grow a successful blog. What’s the difference between WordPress.org & WordPress.com? Thank you to everyone for going on this journey with me. Spread the word, share this page with others and show them how to start a blog. Everyone deserves success and happiness and by forwarding this resource, you’ll be sharing the knowledge.